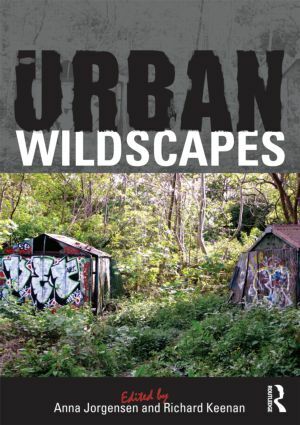 Urban Wildscapes is one of the first edited collections of writings about urban ‘wilderness’ landscapes. Evolved, rather than designed or planned, these derelict, abandoned and marginal spaces are frequently overgrown with vegetation and host to a wide range of human activities. They include former industrial sites, landfill, allotments, cemeteries, woods, infrastructural corridors, vacant lots and a whole array of urban wastelands at a variety of different scales. Frequently maligned in the media, these landscapes have recently been re-evaluated and this collection assembles these fresh perspectives in one volume. Combining theory with illustrated examples and case studies, the book demonstrates that urban wildscapes have far greater significance, meaning and utility than is commonly thought, and that an appreciation of their particular qualities can inform a far more sustainable approach to the planning, design and management of the wider urban landscape. The wildscapes under investigation in this book are found in diverse locations throughout the UK, Europe, China and the US. They vary in scale from small sites to entire cities or regions, and from discrete locations to the imaginary wildscapes of children’s literature. Many different themes are addressed including the natural history of wildscapes, their significance as a location for all kinds of playful activity, the wildscape as ‘commons’ and the implications for landscape architectural practice, ranging from planting interventions in wildscapes to the design of the urban public realm on wildscape principles. Anna Jorgensen is a Lecturer in Landscape Architecture in the Department of Landscape at the University of Sheffield. Her research focuses on the meanings and benefits of urban green and open spaces, and she is especially interested in woodland and other urban ‘wilderness’ landscapes. She is an Associate Editor of Landscape Research. Richard Keenan has spent the last nine years working on the communication of environmental and social issues both in marketing and communications and as an artist. He began working for a regional organization in Yorkshire in 2002 and left to set up Environment Room Ltd in 2005. After five years as Director, he moved on from the company and is now focusing on his artistic practices with the project The Museum of Now. The project incorporates photography, video, audio and physical installations, to raise questions about contemporary society.